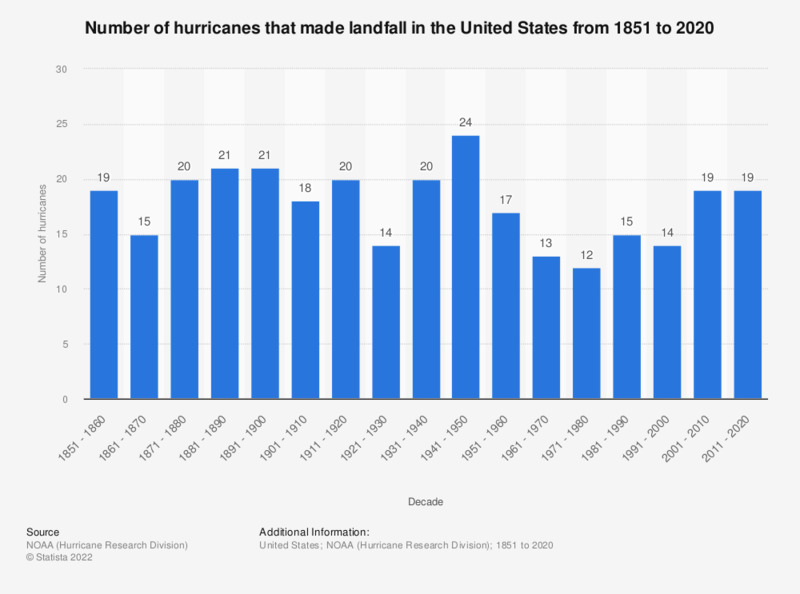 The statistic shows the number of hurricanes that affected the U.S. continent from 1851 to 2017. In other words, it depicts the total number of hurricanes that made landfall in the U.S. Between 2011 and 2017, nine hurricanes made landfall in the U.S.
Everything On "Natural Disasters in the United States" in One Document: Edited and Divided into Handy Chapters. Including Detailed References. Statistics on "Natural Disasters in the United States"